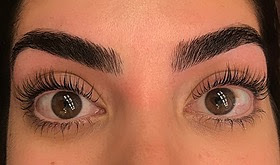 Brow Lounge - San Diego's Best Brow & Beauty Salon Experience | Our Valentine’s Day special is available now through 2/14!! Schedule a Lash Lift and get a $30 brow shaping! Now through Valentine’s Day – Schedule a Lash Lift and get a $30 brow shaping for free!